At San Diego Comic-Con 2018, Lucasfilm brought the house down with the announcement that Star Wars: The Clone Wars would be returning with 12 new episodes on Disney Plus. The news, along with its accompanying teaser, was enough to get many a fan giddy, and with the show’s newly unveiled trailer up above, we now have our best look yet at this long-awaited revival. The Prequel-era Star Wars series, developed by Dave Filoni, ran for a total of five seasons on Cartoon Network before its cancelation in 2013. This was soon followed by an additional 13 episodes on Netflix in 2014. The show featured Matt Lanter as the voice of Anakin Skywalker and James Arnold Taylor as Obi-Wan Kenobi, both of whom are expected to reprise their roles for the seventh season. Many fans would surely agree. 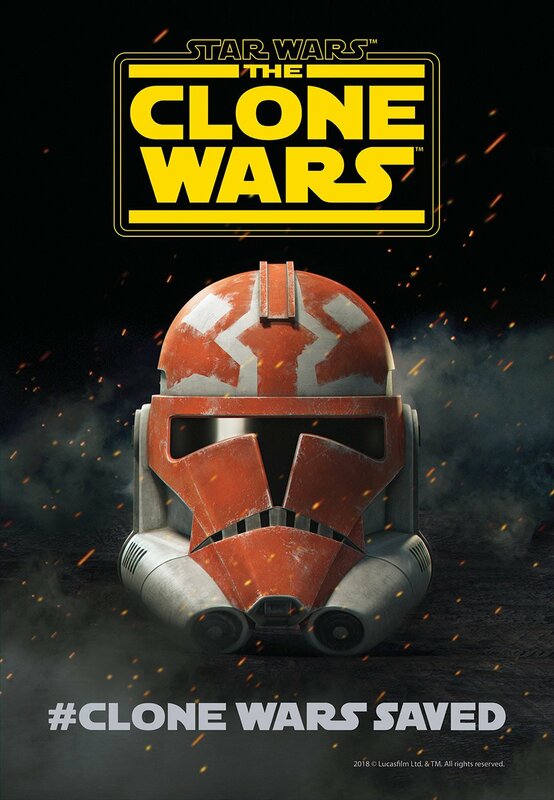 And while we still have much to learn about the new set of episodes, writer Brent Friedman said back in 2014 that the team had The Clone Wars planned out through the end of season 8. We can therefore hope that they won’t be at a loss for material that maintains the spirit of the show’s original run, but you can judge the results for yourself when the series arrives on Disney Plus later this year. In the meantime, stay tuned for further updates from this year’s Star Wars Celebration.